Serious auto accidents can be devastating and traumatic for those involved and their families, and can be very expensive to recover from. If you or someone you love has been in a serious auto accident, you may be entitled to compensation. Kravet, Hoefer and Maher has the experience and professionalism needed to get you help. Seek medical attention as soon as possible after your injury. Even if you think you were not severely injured in the accident, it is important to see a physician in order to ensure you get proper care and to document any injuries you may have suffered. 1. Date, Time and Street Location/Intersecting Street when the accident occurred. 2. Name, Address, License Plate Number, Drivers License Number, Vehicle Owner and Insurance Company of the other driver. 3. 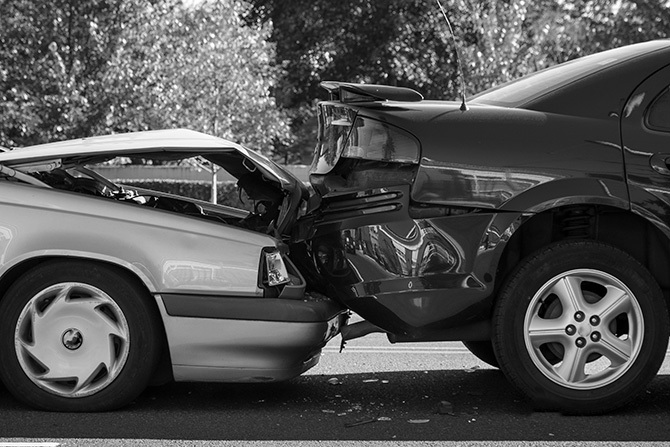 Name, Phone Number, License Number and any Statements made by witnesses to the accident. The Attorneys at Kravet, Hoefer, and Maher have over 30 years of experience handling auto injury cases and have a track record of success. Call today for a free case evaluation.